The Office of Interdisciplinary Education at the UF Health Science Center is collecting and distributing monetary and material donations for Haitian relief through a fund at the UF Foundation. For those wishing to donate money, there are options through this fund. • You may choose to donate directly to Project Haiti, a medical mission trip organized by UF medical students. Every spring break since 1996, students, faculty and staff from the College of Medicine and Shands have provided free healthcare to people of Haiti and the Dominican Republic. Photo contributed by Mark Atkinson, Ph.D.
• Sante Pou Lavi (Health for Life) is a collaborative effort from the College of Public Health and Health Professions, Institute of Food and Agricultural Sciences, the Emerging Pathogens Institute and the Office of Interdisciplinary Education. The project involves malaria research, aquaculture and the provision of clinical and social support for a village that is six miles from the epicenter of the earthquake. The clinic in the village was destroyed, and the doctor and nurse are seeing patients in the yard and in tents. A relief trip could take place very soon. Indicate to what group you would like to contribute on the check’s memo line — either Project Haiti or Sante Pou Lavi — or make the notation on the memo line Haitian Relief, and the funds will be distributed equally. Checks for donations to the Haitian effort can be brought to Room H-5 on the ground floor of the Health Science, around the corner from the Credit Union, or delivered to the Florida Foundation. Make sure to identify Friends of Global Health as the account. Or click here to donate on line. For directions to the Office of Interdisciplinary Education or if you have medical supplies you think would be helpful and wish to donate further specific information, please call the office at 273-5322. 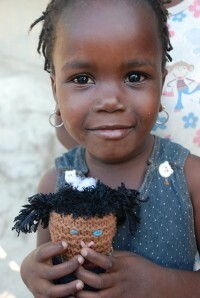 Gators United for Haiti is a student-run philanthropic project, supervised and aided by the UF administration. The group’s goal is to motivate students in The Gator Nation to raise $50,000 for Haiti relief efforts. All students and student organizations are invited to be a part of the project. 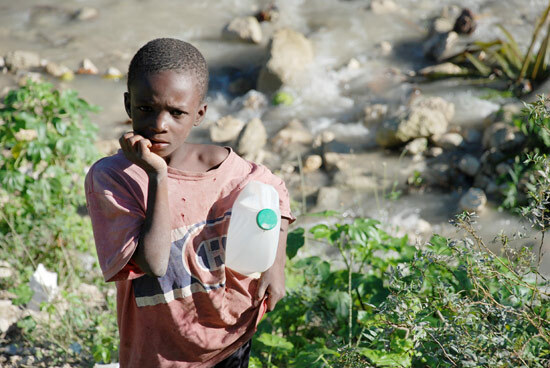 For information and updates regarding Gators United for Haiti, you can join the group on Facebook or follow it on Twitter at GtorsUntd4Haiti.